Good to hear that you are going to participate in the Ajax Camp at ‘De Toekomst’ next summer. Have you ever participated in an Ajax Camp before and how do you know about the Ajax Camps? No, this will be the first time. We have participated at different camps, but never at the Ajax Camps. We are looking forward to it. Our trainers arranged everything for us and we come with a group of 17 football players from Shanghai. A great experience! Could you tell us more about your soccer experience in China? Have you ever seen a match of Ajax on TV or in the stadium? Yes, sometimes we see games of Ajax on television, but unfortunately it’s not always broadcasted. When we’re in the Netherlands we hope to see a match of Ajax in the stadium. We’re both fans of international stars who’ve played at Ajax, like Suarez, Ibrahimovic, Sneijder and Eriksen. If we had to choose 1 player it would be Luis Suarez, because he`s extremely good and together with Messi they’re the stars of Barcelona. Our trainers always teach in the style of Johan Cruijff and we train his tricks and skills. Which country do you support at the World Cup? Thanks for answering the questions. 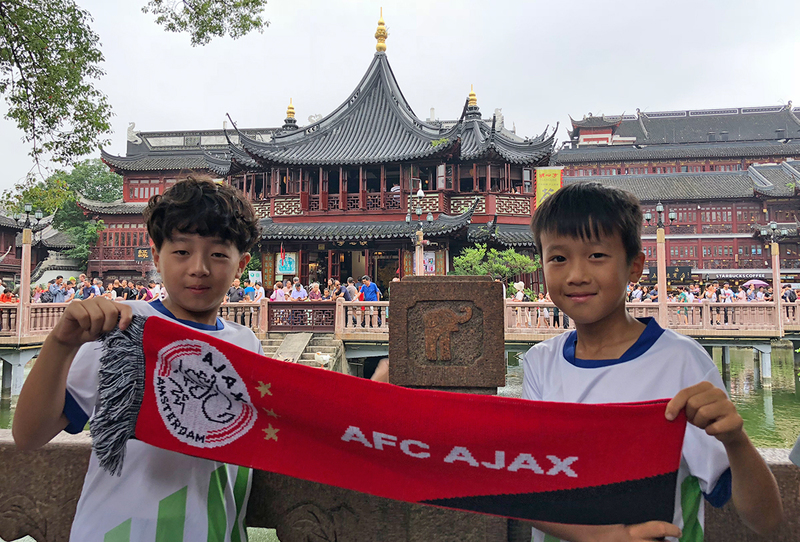 See you next summer at the Ajax Camps!